Plugin...Recharge! 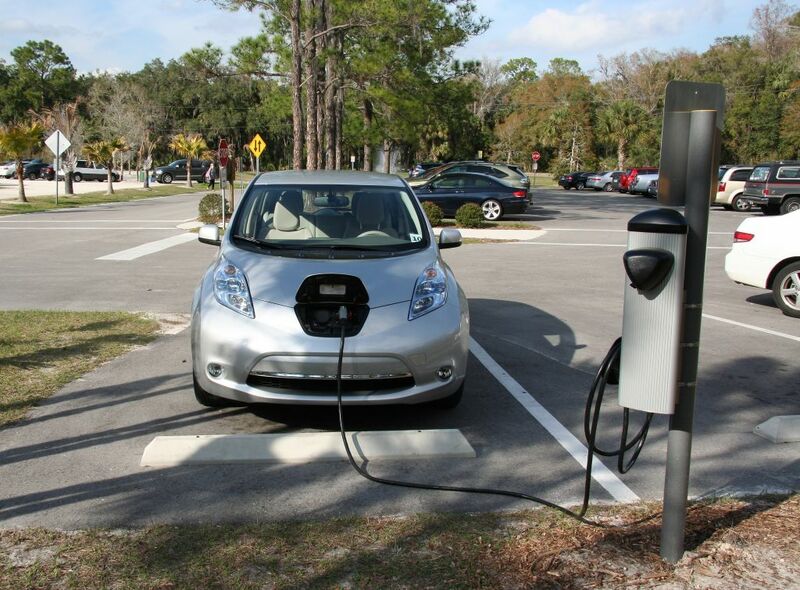 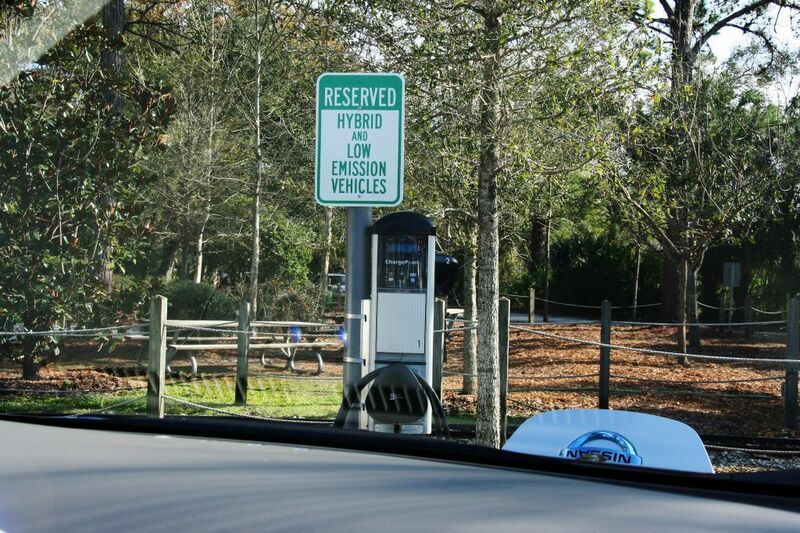 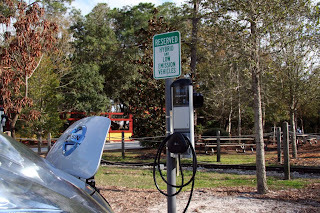 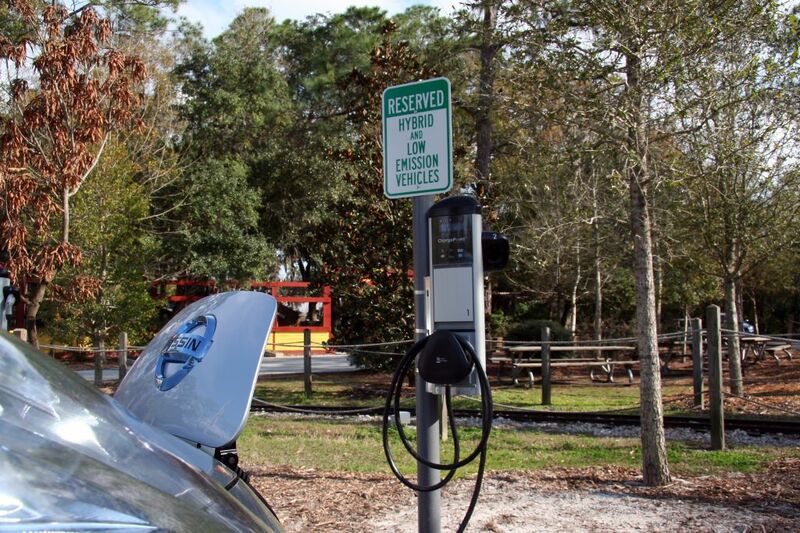 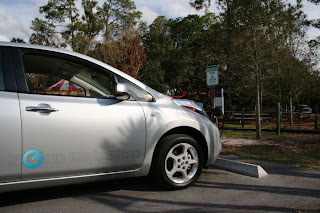 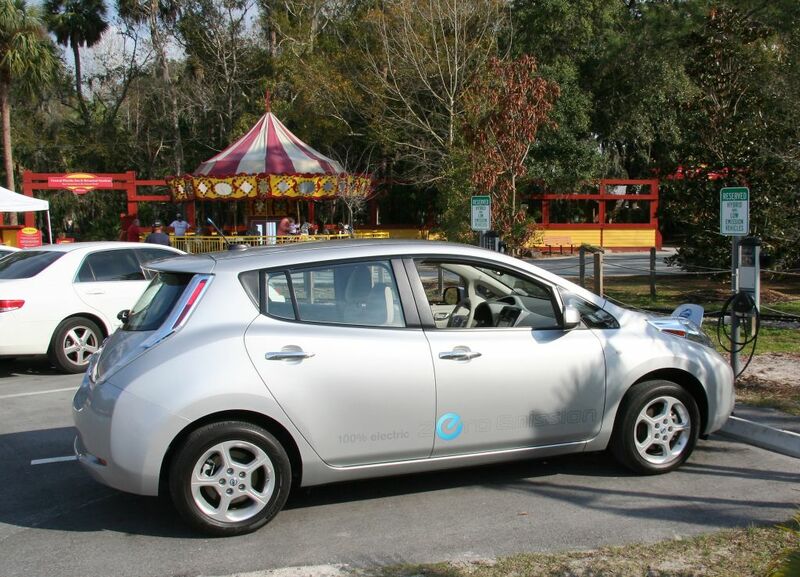 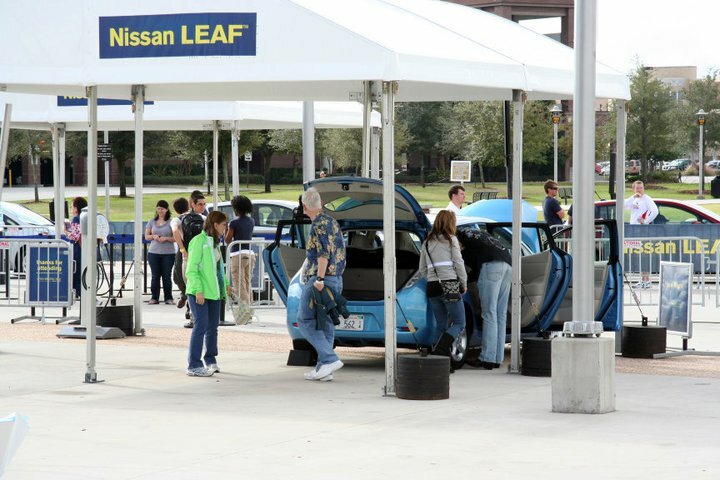 : I saw a Nissan Leaf charging at the Central Florida Zoo! I saw a Nissan Leaf charging at the Central Florida Zoo! 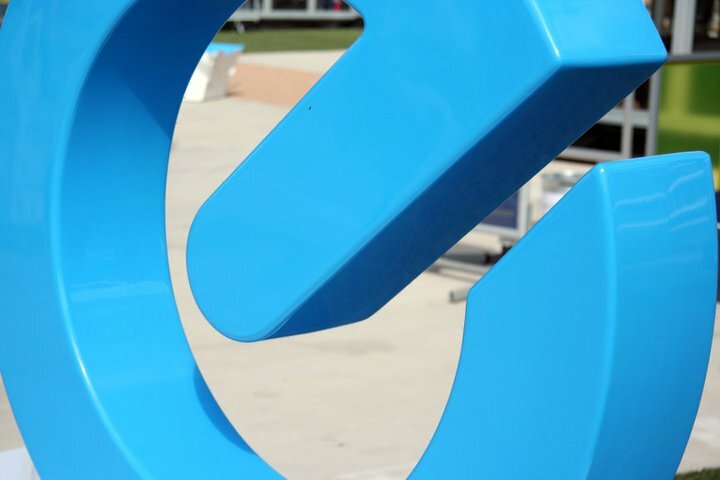 What an EVentful and lucky week! 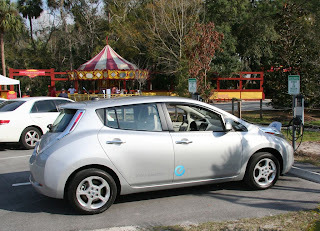 The Nissan Leaf Drive Electric Tour (www.drivenissanleaf.com) was making its stop in Orlando at the same time we (Palmer Electric) were just finishing up installing two Coulomb ChargePoint CT2100s at the Central Florida Zoo. 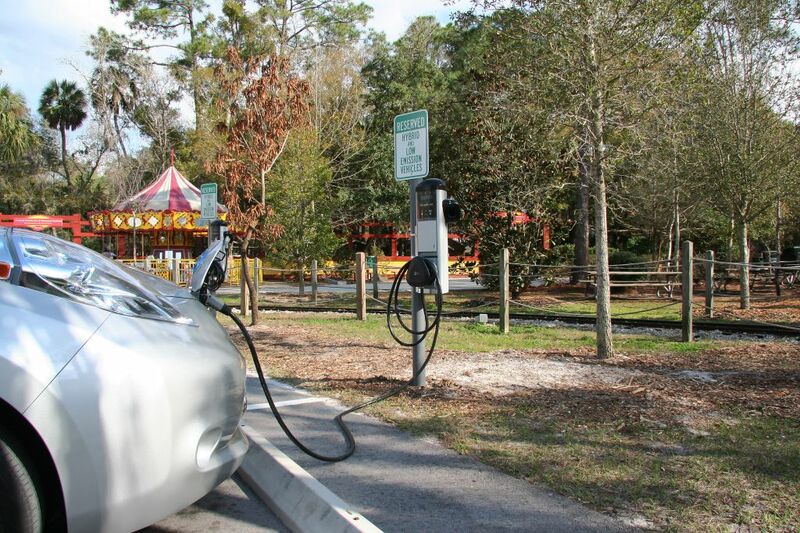 Because the Central Florida Zoo is the first Zoo in the U.S. to get networked charging stations (click for PR), the CEO was getting interviewed by a local Fox affiliate...so I thought it would be very cool if people could see the EVSE actually doing their job by charging a Nissan Leaf! 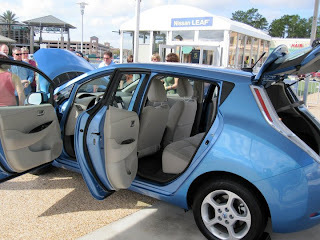 So I called the Nissan EV Marketing Manager for the SE region and asked very nicely if there was a chance if I could get a Nissan Leaf delivered to the interview. We got lucky...the timing worked out perfectly: the Charger's charged, the Leaf blinked with Joy, the interview went great, and everyone was happy. 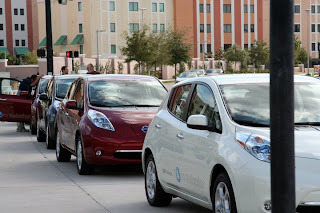 I'm very impressed with the Coulomb solution and the Nissan Leaf...both are high quality, well designed, and are cutting edge...heck, they even have nice Smartphone apps that allow you to control them wirelessly! 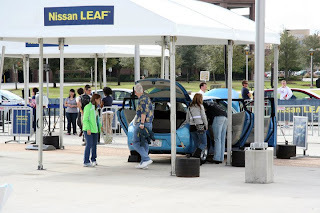 I'm also impressed with Nissan's elaborate setup at their Drive Electric Tour: they take drivers through four education areas before they let you drive the ~10 Leafs that have waiting for you. 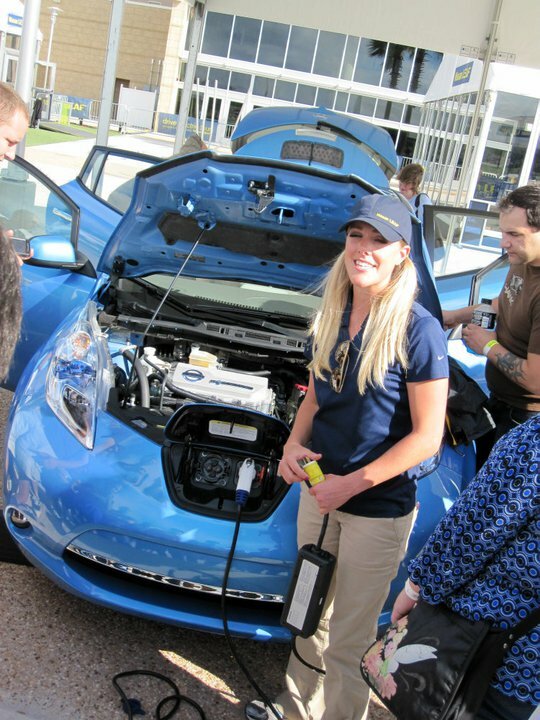 The education is a great idea because it addresses most of the common concerns with EVs (range, battery life) as well as tell you why you'll love EVs (fuel price, fuel convenience, low maint). 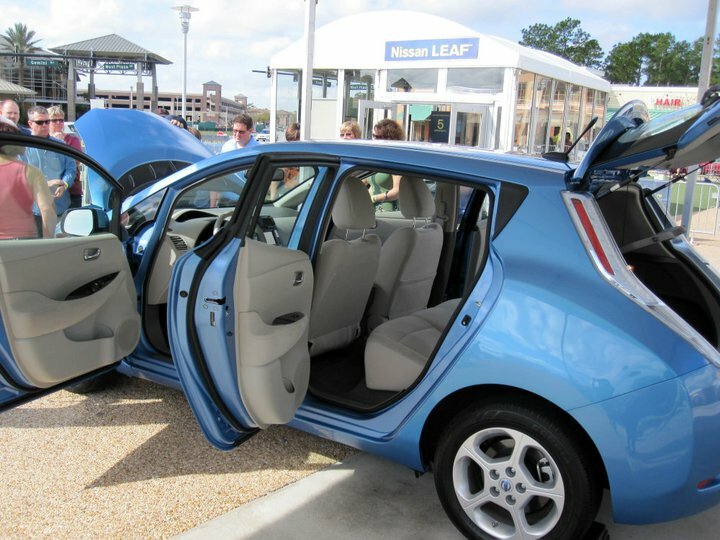 It doesn't take long to get through the education portion and...like a good rollercoaster ride...you can drive again if you want...and you will...the car is a blast to drive. I especially like how the Leaf corners when you nail it in the middle of a corner - it accelerates quickly with little body roll thanks to the 600lb battery keeping you planted.